Using proven materials and methods can prevent potholes. On the surface, pavement must seem beneath consideration. No reason to think about it—you just drive on it, park on it, watch out of the corner of your eye to make sure your car is following the lines painted on it. Until, that is, until you hit a pothole. Then you’re suddenly aware of the pavement, or at least of its flaws. 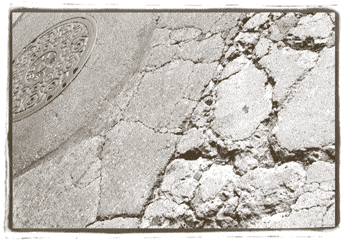 You may swerve, you may curse, you may write a letter to the mayor—a pothole can have that kind of power. Potholes are a nuisance. They’re unsightly. They ruin a smooth ride. And if they’re not fixed early in their development, they can grow into monsters that consume tires and axles, getting bigger and meaner as traffic continues bumping over them. 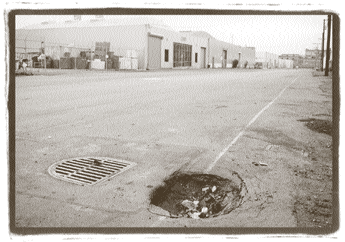 Sometimes potholes are caused by improper design of the original pavement. Or maybe the design was good but the workmanship was substandard: the underlying materials may not have been well compacted, or there was too much air in the asphalt mix, which lets water seep in, loosening the substratum and weakening the whole structure. 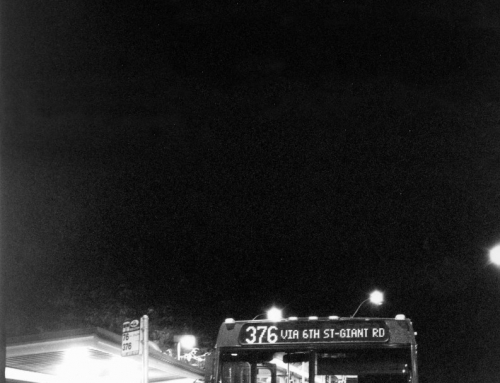 Or perhaps the traffic turned out to be greater than had been anticipated, so it began to break down early. Or maybe the pavement in that spot has just gotten old. In any case, potholes seem inevitable. They form when pavement bends under the pressure of traffic. Eventually cracks form, generally starting at the bottom as the pavement pushes downward into the underlying material, then working their way to the top. They grow wider and deeper and longer with each passing vehicle. They reach out to each other and eventually form a network of fissures sometimes referred to as alligator cracks. As tires continue passing over them, the cracks widen, and little blocks of pavement between them grow loose. Eventually those blocks pop out of place, and each loosened block leaves a hole, making it easier for surrounding blocks to move around, loosen up, and break out too. 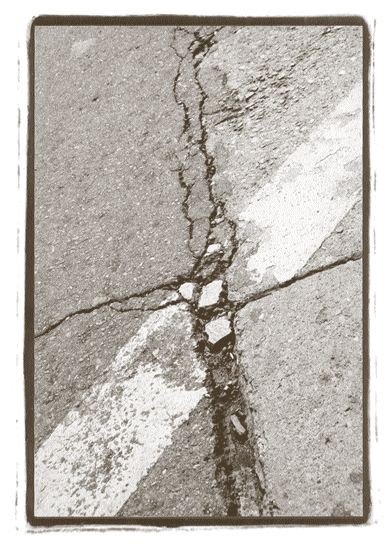 Before long, instead of a network of cracks, you have a pothole. A normal asphalt pavement is designed to last about twenty years. The first stage of construction prepares the subgrade, the original in-place material that will underly the finished roadbed. Its structure must be evaluated, along with such material properties of the soil as density and water content. Then the engineer can select the right combination of materials to handle anticipated traffic at that spot. The upper couple of feet of in-place soil is mixed, smoothed, and compacted to bring it to a uniform constituency. Then granular layers of rock are placed on top and compacted, the thickness of those layers depending on expected traffic loads and the subgrade’s strength. Then paving materials are prepared, the basic materials being asphalt mixed with rock aggregate. Asphalt is the heaviest part of crude oil, the bottom of the barrel, so to speak—what remains after lighter constituents like gasoline, kerosene, diesel oil, and lube oil are distilled off at the refiner y. It’s not present in all petroleum, but the Los Angeles Basin and California’s Central Valley happen to be good sources. The asphalt has to meet specifications for particular applications—whether for paving or roofing or pipe coatings or asphalt tile—and sometimes this requires further refining. Asphalt constitutes only about 10 percent of the pavement mix; the other 90 percent is rock aggregate. The asphalt holds the particles of aggregate together, but the aggregate is necessary to stabilize the pavement: in the heat of the day, asphalt expands in volume at up to ten times the rate that aggregate does. It needs the rock to prevent it bleeding to the surface and reducing skid resistance. The best way to provide stability is to separate the bits of rock according to size, then to mix them together proportionately so they fit together well. When it’s time to lay the pavement, the aggregate is heated to around 300 degrees Fahrenheit. It needs to be hot enough to get a good coating when mixed with the asphalt and to get rid of any moisture. The asphalt is heated as well, making it fluid to coat the rocks. Once both materials are hot, they’re mixed briefly—maybe thirty seconds—dumped into a truck, and taken to the job site where a paving machine spreads it out to the desired thickness and rollers compact it to the desired density. When the roadway is finished and opened to traffic, its surface is smooth and its sub- surface is strong—but only until tires pummel it into alligator cracks, and potholes begin to deface what had been the pavement engineer’s carefully crafted handiwork. Isolated potholes are simple to repair because they don’t usually involve a new pavement design. If an emergency repair is necessary and there are plans to follow it later with a new pavement overlay or with more extensive rehabilitation, then a repair might be as simple as filling the hole with asphalt mix and compacting it with rollers. A more permanent repair usually involves cutting a nice straight-sided hole in the pavement, perhaps digging down below the level of the current asphalt, and applying a bonding material (called a tack coat) to the sides before filling it up with new asphalt. As with new pavements, the more time spent on getting the repair right, the longer it will last. We’ve learned much about the mechanics of soils and asphalt materials, and we’re sophisticated about pavement construction and traffic patterns. So, can we build pavements that last? If we were to combine what we’ve learned in our laboratories and in our field experience and if we were to exploit the innovative design, building, and maintenance practices developed by our European, South African, and Australian counterparts, perhaps we could eliminate potholes. Pavement design and construction are treated differently in South Africa, which has many miles of excellent asphalt pavement. Although their asphalt layers are thinner than ours (generally only about two inches thick), they spend much more time preparing the roadbed before constructing the pavement. They do plenty of compacting and smoothing of underlying soils, including mixing back and forth along stretches of the road to assure consistent strength under the asphalt. It takes time and effort and costs money, but in the long term they end up with excellent foundations under their pavements. The results in South Africa are good roads that last a long time, despite their relatively thin asphalt surfaces. France seems to have good luck avoiding the pitfalls of potholes, especially on its heavily traveled highways. This may be due in part to careful roadbed preparation, and perhaps in part to the widespread use of new tools and cutting-edge technology like improved mix and soil testing, and analytically detailed pavement design. We have this technology available to us in the United States, but few contractors are using it. With support from Caltrans, the Pavement Research Center here at UC Berkeley has been learning a lot about the mechanics of asphalt pavements. 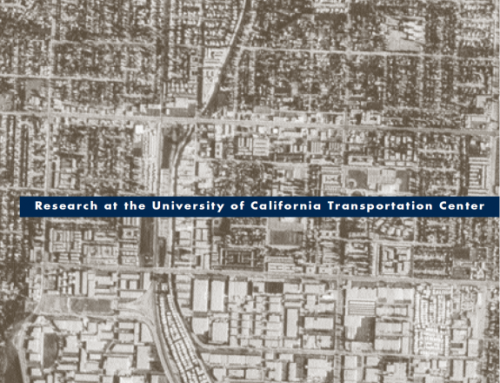 Caltrans is one of the nation’s most innovative transportation agencies, and our research is providing information to improve their design methods and specifications for construction and reconstruction of highways. Nevertheless, one wonders whether the new technical specifications will be enough. 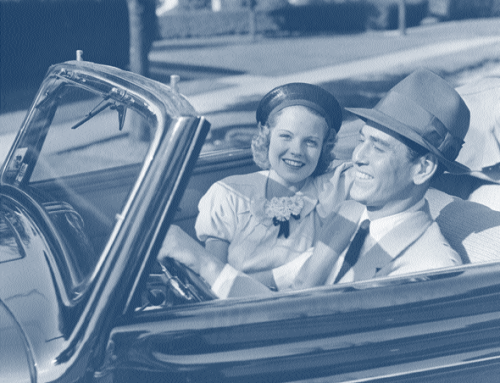 Institutional arrangements may prove to be just as critical as mechanics in determining a pavement’s quality. Consider, for example, the contrast between the French and American systems of contracting for pavement work. Here’s how it’s currently done in California (and much of the US): The government has a Pavement Management System in which, every two years, engineers venture out to evaluate the condition of state highways—all 44,500 lane miles of them in California. They also study traffic patterns and estimate pavement loads. Based on their evaluations, they decide on appropriate maintenance and rehabilitation strategies. Once they have a good idea what jobs are necessary—emergency repairs, rehabilitation, or new construction—the engineers estimate the costs. The state has to make certain that funds are available to award a contract, and then bids are called for. Contractors are given the plans and specifications in the call for bids, and they base their proposals on them. Contractors submit their bids by a stated deadline, and the bids are examined. Generally the state seeks the lowest bid possible. Rarely are there exceptions to the low-bid rule. 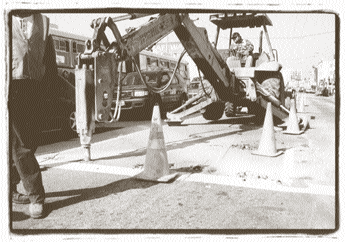 Caltrans requires contractors to meet quality standards for a variety of measures, such as the ratio of asphalt to aggregate, quality of asphalt, degree of compaction, water content, smoothness, and thickness of pavement. Contractors must submit samples and data from tests performed in the field to prove they’re meeting those standards—and Caltrans has to oversee quality control. For example, they might check for correct compaction either by drilling out a core sample after the pavement is laid and testing it in the laboratory, or by the on-site use of a nuclear gauge that transmits and collects gamma rays to determine density of the material. The quality control system also offers monetary reinforcement of standards. Using what are called pay factors, the state agency creates something like a market that rewards contractors for exceeding specifications and penalizes them for not meeting them. Of course there’s a minimal acceptable limit, but if something is adequate but not quite up to spec, a certain percentage might be deducted from the contractor’s approved bid. On the other hand, exceeding specifications could bring a bonus. For example, the state of Arizona has decided that smoothness is very important, so for achieving very smooth pavement a contractor there might be paid as much as 25 percent over the bid price. Pay-factor incentives were used with powerful effect after the Northridge earthquake in Los Angeles when bridges fell along several key freeway routes, hanging up traffic and in some cases isolating communities. In an effort to get back to normal as quickly as possible, Caltrans offered bonuses for completing repairs before a specified completion date. One contractor submitted a remarkably low bid and won the contract to repair part of the Santa Monica Freeway. He then made a huge profit by working day and night, completing the work in less than half the specified time, and cashing in on the pay-factor bonus. 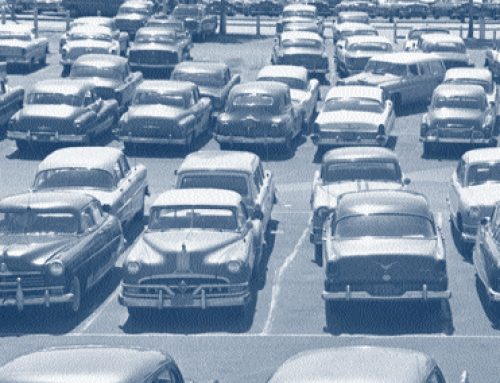 In effect, Caltrans had created a market-like system that rewarded enterprise. France’s standard approach to bidding for contracts is notably different from ours. There, a contractor will submit a design for a job. Instead of meeting government-set specifications, contractors come up with their own plans and specifications and are then required to guarantee their work, usually for a period of five to ten years. Quality control is up to the contractor and is not overseen by a government agency. The guarantee means that if a problem develops the contractor has to fix it. In the US, once the job is done, as long as it has met specifications, the contractor is no longer liable. 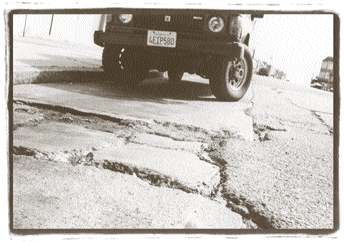 If a problem develops—a pothole, say—a whole new round of specifications and bids and bonuses must begin. Wherever contractors have the flexibility to design the project and guarantee their work, there are inevitable consequences. For example, contractors must be large enough to have their own engineering design and research staffs as well as laboratories. This is so in France where there are few, but large, highway contractors. Small contractors in the US would have trouble competing in such an environment. They would also need sufficient funds to cover costs of repairs in the event they become necessary. Again, small contractors would find this a hardship. France’s success in building excellent major highways seems in some part to reflect those contractual relations. These, in turn, would seem to reflect different national traditions associated with managing the public and private enterprises. The stereotypes suggest that European nations rely more heavily on governmental regulation than does the US, and that the Americans are wont to rely on the workings of market processes. Rather than having governmental agencies write decision rules, say the Americans, let the market decide—let the private sector determine the appropriate outcomes. With respect to pavement design, however, it seems we Americans have chosen to do it their way, and they ours. Rather than encourage private engineering/contracting firms to determine the best structure for a road, paradoxically, we have assigned the design task to government departments, then charged them with monitoring the performance of the private construction firms. The success of some European roads suggests we might improve our own by modifying some of our managerial arrangements to gain advantages of the French kind. It’s already been tried in the US in various ways, such as turn-key construction of housing projects, in which private builders design, finance, and build. The SR91 toll road in Orange County, California, was built and financed with private money, and will be owned and maintained privately for a set period of time before reverting to the state. It’s still a fairly new road, and we don’t know how long it will remain free of potholes, nor how motivated its owners will be to keep it well maintained. 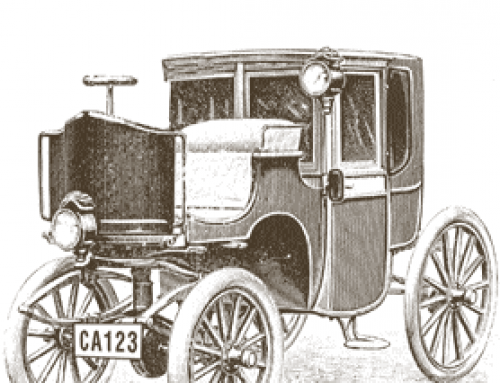 But it seems there is room for private enterprise in American road-building. Most people would give a lot to keep highways free of potholes. We now have the technical know-how to design asphalt pavements that are strong and have a life expectancy of twenty or more years. So we should be able to forestall damage to the surface. We know how to incorporate proven materials and tested internal mechanics into the asphalt layer, but perhaps we should also take a cue from the South Africans and the French and experiment with working harder on the subgrade. We need also to incorporate into the design those institutional arrangements that might guarantee longevity. So perhaps we should take a cue from the Europeans and experiment with encouraging innovation among contractors by permitting them more room for innovation in both design and construction. Once we attain the quality of road standards of which we’re capable, there’ll surely be not even a small obituary notice in the national press, because we’re seldom conscious of pavements that are intact. But, just as surely, no one will mourn the passing of the pothole. Transportation Research Board: NCHRP syntheses and reports Association of Asphalt Paving Technologists: Proceedings, 1928 to 1999.
International Conferences in Asphalt Pavements: 8 sets of volumes 1962 to 1997.
International Conferences in Managing Pavements:4 sets of volumes, 1985 to 1998. Carl Monismith is Robert Horonjeff Professor Emeritus of Civil Engineering at the University of California, Berkeley 94720 (clm@euler.berkeley.edu).